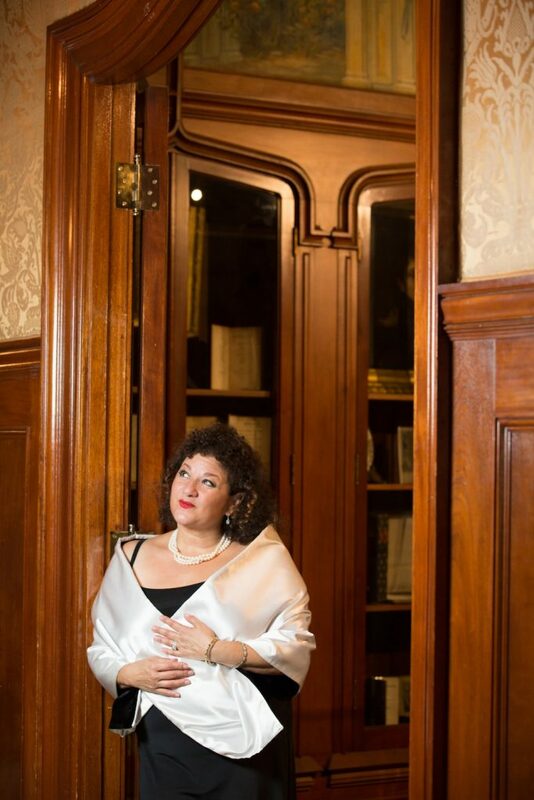 Sharon Azrieli’s magnificent spinto soprano has been heard to great acclaim across the globe, from New York to Tokyo, and from Tel Aviv to her native Montreal. From her debut as Juliette in Roméo et Juliette to recent portrayals of Verdi heroines Aida and Leonora, (Il Trovatore), Azrieli has been deemed “utterly charming” (Sarasota Herald Tribune) and praised for her “exceedingly beautiful voice, full of feeling” (Ha’aretz). A recent decision to investigate the Mezzo Soprano range has added the roles of Carmen and Santuzza to her already enormous repertoire. Leading operatic roles have included La Gioconda with New Jersey Association for Verismo Opera (2016) and Mimi in La Bohème for the Canadian Opera Company and NJAVO (2015) Susanna in Le Nozze di Figaro with Sarasota Opera; Nedda in I Pagliacci with the New York Opera Festival; Elvira in Don Giovanni with Vermont Opera Festival; and Liu in Turandot with the New Israel Opera (2008). In 1994, she had the great honour of covering Mirella Freni as Adrienne Lecouvreur with L’Opéra Bastille in Paris. The recipient of numerous awards including the Metropolitan Opera Competition District Winner and Study Grant, the Pavarotti Competition, among others, Sharon is also the winner of the Canadian Women’s Competition and the Jarmilla Novotna Competition, among others. She sang Santuzza, (Cavalleria Rusticana) with Marcello Giordani in Sicily in 2015 and returns to sing Nedda in I Pagliacci with him this summer (2017) with the Bellini Orchestra in Catania, Italy. Leading Solo roles with orchestras in Concert and Oratorio works include; the Tokyo Symphony Orchestra, the Israel Chamber Orchestra (Kurt Weill Ofrah’s Leider), the Haifa Symphony Orchestra (Rossini‘s Stabat Mater and Beethoven‘s Mass in C Minor ), the Jerusalem Symphony Orchestra ( Leonard Bernstein‘s Kaddishwith narrator Richard Dreyfuss, and Songfest), the McGill Chamber Orchestra (Mozart concert arias under the baton of Alexander Brott and Mozart K .505, Ravel’s Hebraiche Songs among others) and the Montreal Symphony Orchestra under the direction of Kent Nagano (October 2106, Mahler’s Ruckert Lieder) among many others. Among her varied philanthropic and entrepreneurial work, Sharon Azrieli is a Director on the board of The Azrieli Group, and a Director on the Board of the Azrieli Foundation. Azrieli created the Azrieli Foundation’s $100,000 composition and commission competition, called the Azrieli Music Prizes. Additionally, Azrieli sits on the Board of Directors of the Azrieli Amutah, which is the Azrieli Foundation‘s equivalent in Israel. Azrieli sits on the Boards of the following Philanthropic foundations: the America Israel Cultural Foundation, The McCord Museum, The McGill Chamber Orchestra, and has created the Opera Cares Foundation and the Sharon Azrieli Foundation for the Arts. She also owns Montreal Home, Toronto Home, Vancouver Home and Florida Home Design Magazines.